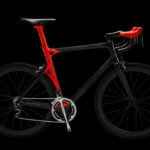 BMC Impec Lamborghini Edition is not a new bike, revealed a few months ago, on April 2012. But it is still one of the best “automobile branded” bikes ever produced. In recent years several of luxury automobile marques like Ferrari, Porsche, BMW and McLaren have added their name and design sensibilities to human-powered transport: the bicycle. And Italian supercar producer Lamborghini has joined the list last year. 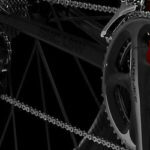 Take the flagship of the Swiss bicycle manufacturer BMC’s “impec“, collaborate with the Italian exotic sports car giant Lamborghini on a co-branded limited version. 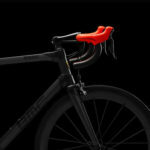 The result is: BMC impec Lamgorghini Edition. “Handmade by machines” is the motto of BMC impec, referring to their use of customized industrial robotics in an automatized and controlled process to assemble advanced carbon fiber composites at high degrees of precision. BMC defining their goal as “zero error”. 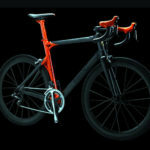 The BMC impec Lamborghini edition offers exclusive high-profile carbon wheel rims, Shimano DI2 electronic shifting (2012 edtion, 10-speed), suede seat and handlebars handmade by Lamborghini, and Lamborghini airbrushed artwork in exclusive Argos Orange, the same color as the super-car Aventador LP 700-4. Only 30 pieces are produced in total, and the price is €20,000 (roughly $26,000). 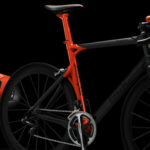 The bike is expected to be just the first release in a long-term partnership between BMC and Lamborghini. 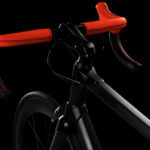 BMC impec Lamborghini Edition details: handlebar, stem, shifters, top tube and down tube. Lamborghini Aventador LP 700-4 Roadster. The BMC impec Lamborghini Edition borrows its orange airbrushed artworks from this cars’ color.